"I feel like (I'll play) the next game. I'm looking at Saturday, for sure. Just get in some really good treatment these next couple days and I should be fine." - Wendell Carter Jr.
Wendell Carter Jr. has a sprain, which is the good news. 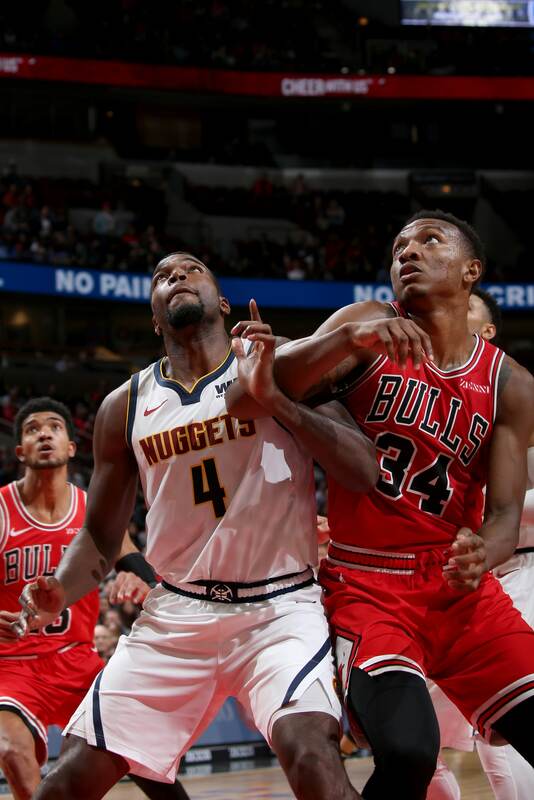 The larger problem remains the strain, which is the Bulls eight-game losing streak as they prepare to face the high-flying Denver Nuggets Thursday. "I wouldn't say excited, but definitely a relief," Carter said about learning his left thumb injury is a sprain and he will miss his first game of the season Thursday, though he plans to play Saturday at home against Miami. "It went from six-to-eight weeks to now day-to-day, so that's definitely a relief," the 6-10 rookie center said after Bulls practice Thursday morning. "I got an x-ray (after the game) and the x-ray made it look like I kind of had a fracture. So I went and got an MRI (the next morning). I was kind of scared, honestly, just that I wouldn't be out there for my team. It looked bad in terms of so many people have gotten injured this year and (I) would be just another one that's gotten injured. I'm glad it wasn't true, but it was definitely weighing on my mind that whole night." Carter worked out with the team Thursday morning, but said the thumb didn't feel quite right. So he is going to miss Thursday's game. "I was favoring it, just trying to make sure the ball didn't hit it funny or stuff like that," Carter acknowledged. "I feel like that could put my team in jeopardy (by playing). I don't want to be the one out there that's not able to grab a ball with two hands or do things like that. I didn't want to be a liability to my team. "During the game my adrenaline was going, so when it happened it was, 'Oh, I just jammed my thumb, I'll be fine.' As the game went on, I came out and it kind of stiffened up a little bit and it started swelling up and hurting really bad where I couldn't even make a fist," Carter admitted. "After the game it really swelled up really, really bad and started hurting. What was kind of crazy to me was there was no contact involved at all in how I got hurt. It just felt like I jammed it a little bit on the floor (trying to break a fall). "I feel like (I'll play) the next game. I'm looking at Saturday, for sure," Carter said. "Just get in some really good treatment these next couple days and I should be fine." 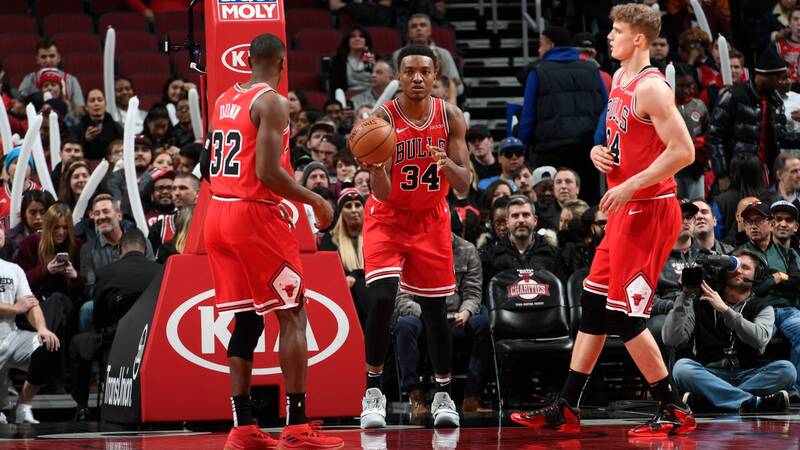 The same sentiment remains uncertain for the Bulls, though the players have remained positive despite falling to 10-34 for the season with a coaching change, injury disruptions and uncertainty. "We're all competitors, we don't want to lose," Carter agreed. "But I feel like most of us get the bigger picture. We're trying to build something here and during the build we don't want to lose, of course… we're gonna get things right. A lot of these games I feel like we could have won. There were a couple of possessions where we didn't take ownership of what we were supposed to do. But I feel like we're learning each and every day by watching film, practicing and playing." Kris Dunn echoed a similar sentiment. "We want to win, of course; we've still got that positive spirit," Dunn said. "There are some games we felt we could have won; we just have to make a couple of more plays at the end. There are some games we let slip away and the lead got out of hand and it's too hard to come back from. We're still positive; there are a whole bunch of games left, a lot of games to improve." Carter is averaging 10.3 points, seven rebounds and 1.3 blocks, sturdy statistics for a rookie. Though his scoring has decreased since averaging 12 points in November. He averaged 9.2 per game in December and 8.6 in January. His rebounds per game also declined from his 7.5 average in November. Unfortunately he is out because he had his best game of the season Oct. 31 against the Nuggets with 25 points, eight rebounds, five assists, three blocks and three steals, and nine of 21 shooting. Carter hasn't gotten 10 field goal attempts in any game this month, which probably is a combination of a new system of play and that rookie fatigue/wall. So perhaps the brief rest will be helpful. "Just got to be more aggressive on both ends of the court," Carter said. "Just be a great all around player for my teammates and just be able to bring that energy every night. That's the most important thing. With us losing so much it could be easy for people to get outside of what we have going on. That's what's important, I feel like; just got to continue to bring the edge every night no matter what happened the night before. "It's definitely a long season," Carter agreed. "That's the first thing. We're pretty much done with a college season (by now), and we're halfway through. So it's definitely taken a wear on my body. But this is what I've been dreaming to do all my life. So I would rather be doing this than anything else." Certainly a young man who is sane despite the sprain and the strain.